Onduline Roofing Sheets are a bituminous corrugated roofing sheet that is extremely tough, lightweight and low cost. This Onduline roofing and wall cladding material is manufactured utilising a base board produced from recycled cellulose fibres, which is saturated with bitumen under intense pressure and heat. Onduline sheets are finished with a colourful pigment and resin impregnation process which ‘stains’ the colour into the sheet to provide excellent colour retention properties and enhanced UV resistance. 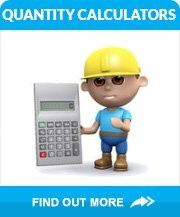 We have even got a helpful Onduline Roofing Calculator to work out the materials you require for your single pitch or double pitch roof. Below are installation guides and a video on how to install Onduline roofing sheets.